William Shakespeare famous posed the question “What's in a name? 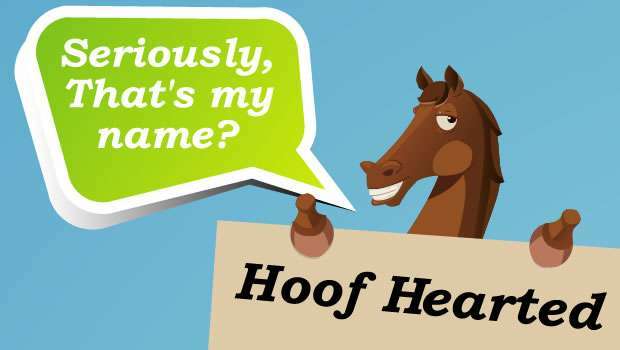 that which we call a rose by any other name would smell as sweet;” well, if you named your horse ‘Hoof Hearted' (say it fast) it obviously doesn't smell too sweet! There is a chance that this horse was named as such purely to confuse and prank the announcers. Can you image the commentary as he hurtles neck and neck down the final straight? The made up law firm became the inspiration for the name of a champion standardbred race horse. The successful horse won 22 out of his 25 lifetime races. Amongst these races was his solid performance in the Hambletonian. There is not really a lot that can be added to this one! A phrase which was later used by Family Guy’s Peter Griffin, this name was met with a lot of disapproval. Fortunately, the horse did not make much of himself. This horse was the victor of the English Triple Crown in 1917. I doubt the words had the same connotations then as they do today. This Australian horse race a few races in 2007, but never really impressed. Owner Tom Durkin has named many horses in the duration of his 25 years in the racing business. This horse must have been a problem in many races. The name is a bit of a tongue-twister, with Durkin himself accidently calling him “Flat Fleet Fleet”. This horse was about in 2001 and almost made it into the Derby. However, he luckily lost the Tampa Bay Derby, limiting exposure to a horse which blatantly encourages a crime! Named after the American quarterback, this horse had not lived up to the name. The best result he managed to muster in his career was a third-place-finish. 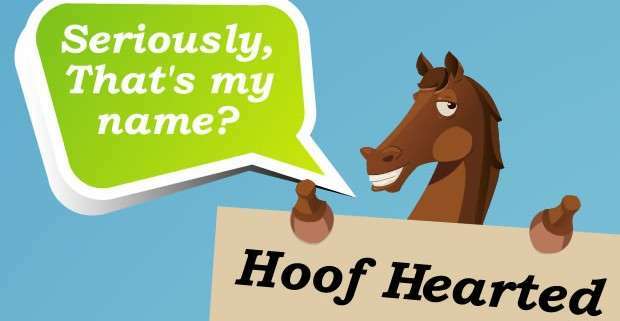 The name of this quarter horse is incredibly racist when read backwards, and it is surprising that it was approved by the American Quarter Horse Association. This horse won in the LKS Mackinnon Stakes in 1989. One of the most successful race horses in recent memory around the Aintree fences, you can’t beat a name containing an ultimatum. Comply or Die second in the 2009 Grand National and a winner in 2008. This one tops the lot. Think of the comedy factor when the announcer is made to read that name out loud!